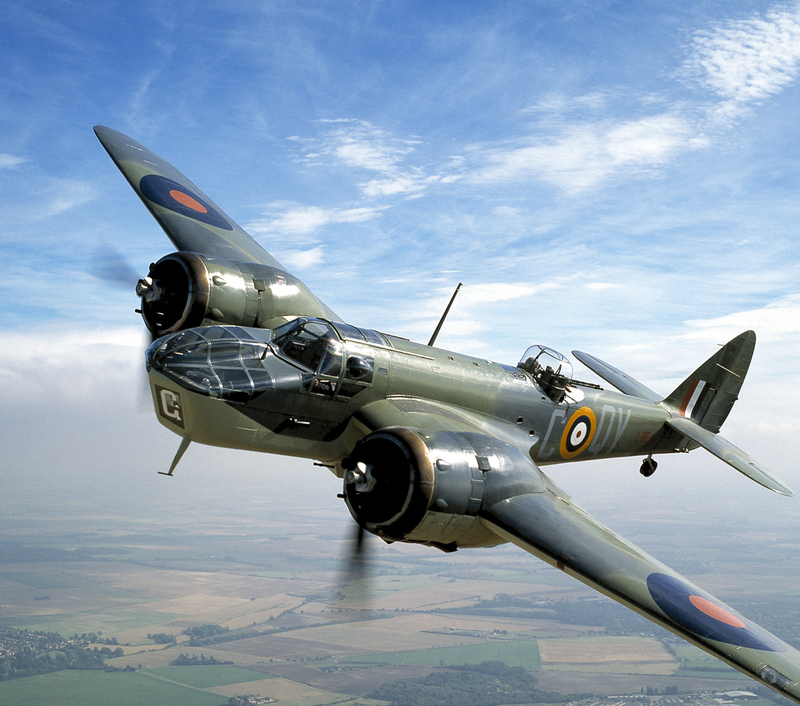 The Bristol Blenheim was, in 1935, a very advanced, fast, light bomber built for the RAF. By the time the war started in September 1939 it was, effectively, obsolete as the latest German fighter, the Bf109, could outpace and intercept it. Nevertheless it still had its uses and gave a creditable performance in some theatres. The restored example seen here was shot on a flight from Duxford.